Progressive Baptist Church Youth Revival – THIS WEEK! 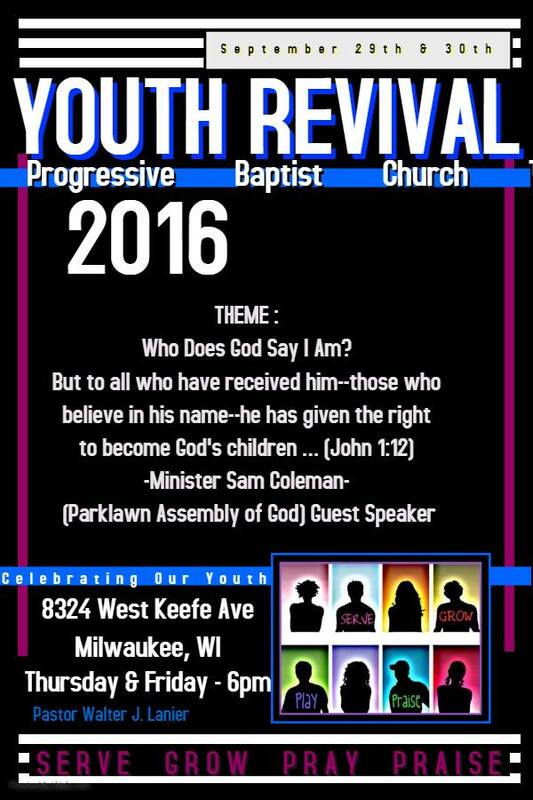 Join that Progressive Baptist Church Youth Ministry for the 2016 Youth Revival!! Our theme: Who Does God Say I Am? The revival is open to the public. We invite you and young people you know to join us!